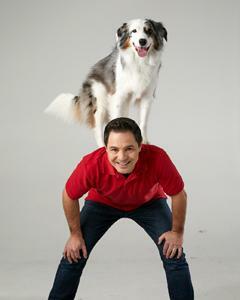 The master trainer and founder of the Stunt Dog Academy shares his latest dog training guide. 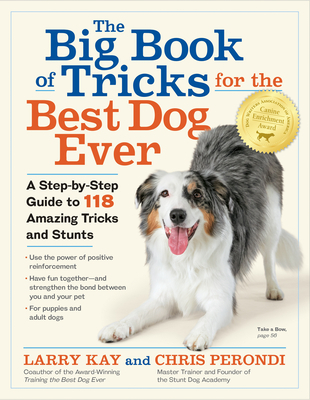 Using the secrets of professional dog trainers, this fully illustrated guide with hundreds of step-by-step photos show how to teach your pet 118 tricks and stunts. Organized from beginner level to pro, these tricks run the gamut from the kinds of things any well-behaved dog should know—fetch, paw shake, roll over—to stunts that will delight your friends and family, from dance routines to flying disc acrobatics. You'll even learn the tricks behind filmmaking with dogs to create your own movie magic and performance showstoppers. And there are benefits far beyond the wow factor. Teaching your dog tricks will not only reveal more of your dog's real personality, including hidden talents, it will also improve your pet's behavior, reinforce socialization, prevent boredom and restlessness, and instill your pet with greater confidence. CHRIS PERONDI runs Stunt Dog Productions and the Stunt Dog Academy near Stockton, California with his wife, Suhey, and their team of canine performers. They perform more than 1,000 shows every year across the country in venues like Dollywood, Six Flags, and Silver Dollar City in Branson, MO. They've been featured on The Today Show, The Ellen DeGeneres Show, The Oprah Winfrey Show, The Tonight Show with Jay Leno, and more. Chris Perondi's websites are stuntdogshow.com and stuntdogacademy.com.